Since Indigenous peoples have developed time-proven approaches to sustaining both community and environment, Elders and young people are concerned that this rich legacy of Indigenous Science with its wealth of environmental knowledge and the wisdom of previous generations could disappear if it is not respected, studied and understood by today's children and youth. A perspective where relationships between home place and all other beings that inhabit the earth is vitally important to all residents—both inheritors of ancient Indigenous Knowledge and wisdom, and newcomers who can experience the engagement, joy and promise of science instilled with a sense of place. This book takes a step forward toward preserving and actively using the knowledge, stories, and lessons for today and future generations, and with it a worldview that informs everyday attitudes toward the earth. Knowing Home: Braiding Indigenous Science with Western Science is far more than a set of research papers or curriculum studies. The project outputs include both, but they are incorporated into a theoretical structure that can provide the methodological basis for future efforts that attempt to develop culturally responsive Indigenous Science curricula in home places. It is not just one or two angels to organize, but multiple interwoven approaches and cases that give this project its exceptional importance. Thus, the project outputs have been organized into two books. Book 1 provides an overview of why traditional knowledge and wisdom should be included in the science curriculum, a window into the science and technologies of the Indigenous peoples who live in Northwestern North America, Indigenous worldview, culturally responsive teaching strategies and curriculum models, and evaluative techniques. It is intended that the rich examples and cases, combined with the resources listed in the appendices, will enable teachers and students to explore Indigenous Science examples in the classroom; and in addition, support the development of culturally appropriate curriculum projects. The Knowing Home cover is used under a CC-BY-NC-SA licence (https://creativecommons.org/licenses/by-nc-sa/3.0/). Knowing Home: Braiding Indigenous Science with Western Science, Book 1 by Gloria Snively, Wanosts'a7 Lorna Williams is licensed under a Creative Commons Attribution-NonCommercial-ShareAlike 4.0 International License, except where otherwise noted. 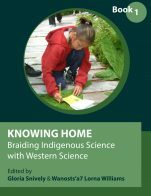 Knowing home provides a comprehensive review of existing literature related to integrating Western science curricula and Indigenous knowledge in K-12 school classrooms. The authors explicitly state that this text is not for post-secondary science instructors seeking to Indigenize their course content or delivery. The assumption is that this material will be used by generalist K-12 teachers and pre-service teacher educators who have greater existing confidence with Western Math & Science curricula than Indigenous Knowledge. The content is strong, well-written, with a variety of concepts broken out for discussion. Prompts and generative questions are found within ‘activity boxes’ to facilitate delivery in post-secondary teacher education classrooms. The examples shared are location specific, reflecting the variation in Indigenous places and cultures across Canada, but in many cases the approach can be generalized as a framework for integrating perspectives and activities in local school settings. There is, however, a disconnect between much of the literature cited in Part 1 (focused on the prairie provinces, e.g. Sutherland, Aikenhead, Michel, Little Bear, Hogue) and the examples shared in Part 2 (mainly coastal communities). The content is up-to-date and comprehensive. As more research is conducted, it will be useful to update the literature and methods sections. It would also be useful to incorporate more geographically diverse examples, perhaps in partnership with graduate courses in other regions. Knowing Home is accessible and easy to follow. There is little jargon, but political words are deconstructed and content is decolonized through purposeful conceptual and etymologic framing. It is precisely written. The text is consistent through the first section. In the second section there is some variation as student-teacher voices bring the individuality of practice and experience into the text. It is an effective framework. The book is divided into three parts. First, a comprehensive literature review covering the rationale, methods of integration, and impacts of integrating Indigenous perspectives with Western science curricula. Secondly, case studies and examples provided by teams of graduate students, teacher-practitioners, and community members. Finally, a series of appendices with ideas to scaffold the approaches demonstrated in Part 2 to the reader’s local context. Chapters stand alone, and could be used individually as provocative essays in a teacher education classroom. When read in serial, there is some repetition between chapters in Part 1; this arisebecause the field is new (at least to literature), such that foundational references repeat. Resources in the appendix could be used independently as tools for lesson planning and course design. The text is well organized and can be read from front to back with a reasonably narrative progression. 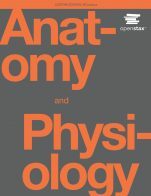 What is lacking, if read that way, is a concluding chapter reconnecting the examples in section two with the literature and concepts surveyed in Part 1. The text is premised on a “printer-friendly” format and is very readable. Graphics include illustrations of activities (both traditional and pedagogic), reflective artwork, and data summaries. I did not encounter grammatical errors. Knowing Home focuses on integrating Indigenous worldviews and activities with current K-12 science curricula in Canada. It discusses the challenges of presenting Indigenous Knowledge as a contemporary as well as historic tradition, and disconnects between Western science as a tool for generating knowledge and Indigenous knowledge as a worldview embedded with decision-making and epistemological power. Discussion of Métis, and blended Indigenous community perspectives is limited. Literature focused on Indigenous communities outside of Canadian is cited for conceptual reflection (examples from Australia, Africa, etc.). Alternate traditions of integrating scientific knowledge with reflection, action, and decision-making are not discussed; excluding student- and teacher-specific variables related to political, religious, popular, neoliberal, settler, and diasporic traditions. What is silent in this discussion (which grew from a graduate course in an Educational College) are the voices of both non-academic Elders and Science Faculty. A foreword, or documented dialogue, between authorial ‘sources’ to each knowledge tradition would offer rich perspective to the experiences of teachers acting as ‘translators’ in the K-12 classroom. The book begins with a great overview that sets the context and breadth of the information. The table of contents also provides a clear overview of the topics explored. The book is also broken into four main sections to help contextualize the chapters. 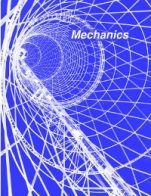 I found that the book cover all areas and aspects of the subject. It was very thorough. The content of the book respects and honours Indigenous Knowledge and perspectives. The writing is very authentic and draws on numerous scholarly works. The book also does a good job at addressing common biases and misconceptions around the topic of Indigenous Science. The content of the book is extremely relevant and will remain relevant for years to come. 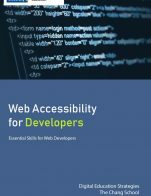 The book could be adapted in the future to include additional resources and examples without much difficulty. These could be additional chapters or additions to the resource lists. The text is written at a scholarly level and utilizes a lot of terminology that may be difficult for some readers. I am somewhat concerned about this aspect of the book when I think of the undergraduate students that I teach. Any reader that is not used to engaging with academic articles may have trouble engaging with it. The writing is also in APA format and contains many inline citations which is great to show the rigour, but also makes the flow of the content more difficult. 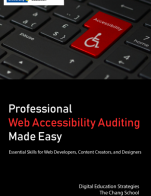 These issues become less as the book moves into the more practical chapters, but the earlier chapters that set the stage are written at a high reading comprehension level. Later chapters also include many images which will help with comprehension. The book is consistent. I appreciated that it takes the time define the major terminology (Indigenous Knowledge, Traditional Ecological Knowledge, etc.) near the beginning of the book. The book is broken into fourteen chapters that vary in length. Within the chapters there is good use of subheadings. Many of the chapters also have discussion questions or activities at the end. The organization of the book is very logical. The interface worked perfectly in my experience. I did not notice any grammatical errors. The book is well-written and proofed. This book deals with culture and does so in a respectful and inclusive way. This book contains many great examples for pre-service or in-service teachers. The content is even relevant beyond Science classes. I look forward to incorporating portions of this book in my future teaching of Science Methods--there are more specific examples within this book than I have been able to find anywhere else. I can also see relevance in bringing content and examples from this book into my curriculum conversations with university faculty and instructors. The book also does a great job of explaining why it is necessary to "braid Indigenous Science with Western Science". I am grateful for this resource. My only concern is that it is written in such an academic format, but I will need to be strategic in how and when to assign it. In the proper contexts, this will be an excellent resource.